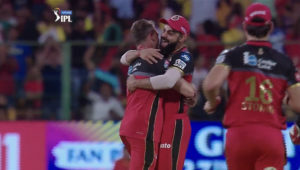 KwaZulu-Natal Coastal’s Daryn Dupavillon destroyed Northern Cape with a six-wicket haul to earn himself Sunday’s Turbo Bowler award, writes ANITHA MADIKIZELA. 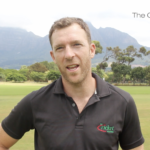 Gio Colussi of The Cricket Academy talks about the importance of structured, focussed net practice for cricketers young and old, as well as building up stamina in his throwing arm to cope with a heavy daily throwing schedule. 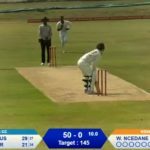 The Dolphins Academy secured a convincing 54-run win over the Cobras Academy at Bridgton Sports Grounds, after a blistering unbeaten century from opener Brad Porteous was well backed up by Kwezi Gumede’s return of 4-34. 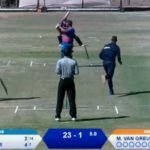 The Titans Academy thumped the Lions Academy by 82 runs at Langenhoven Gimnasium, thanks to a rampaging 73 from wicketkeeper-batsman Francois van Heerden alongside Lance Humphries’ 3-18. Knights Academy secured a mammoth 72-run win over the Warriors Academy at the Recreational Ground, after a blistering 74 from opener Nathan Roux and a sensational 3-18 by Aiden Brooker. The Titans Academy strolled to a comfortable seven-wicket win over the Cobras Academy at Langenhoven Gimnasium thanks to Thomas Mashiane’s 3-48 and an unbeaten 89 from captain Christopher Britz. 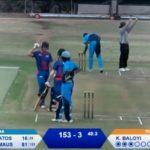 The Warriors Academy bagged a narrow one-wicket win over the Dolphins Academy at Bridgton Sports Grounds following contributions from Brad Mauer (3-38) and Tristan Stubbs (58 not out). 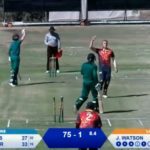 The Lions Academy bagged a routine seven-wicket victory over the Knights Academy at the Recreational Ground following Ntokozo Mahlaba’s 4-40 and an unbeaten century from Nick Smit. 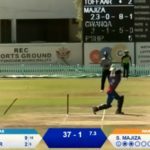 Warriors Academy won by seven wickets against Cobras Academy on Wednesday, 6 March thanks to contributions from fast bowler Sinju Majiza (3-24) and opener Athi Mfazwe (43) at the Recreation Ground. 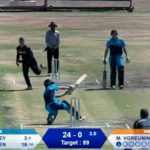 The Titans Academy strolled to a comfortable nine-wicket win over Knights Academy at the Bridgton Sports Ground on the back of Vaughn Humphrey’s unbeaten 41 after Asad Patel had bagged 3-14 in the first innings. 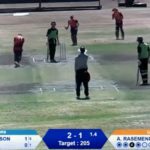 Lions Academy secured a thumping six-wicket victory over Dolphins Academy at Langenhoven Gimnasium after captain Nick Smit sealed the win with his 48 not out, following Louis van Schalkwyk’s 3-10 in the first innings. 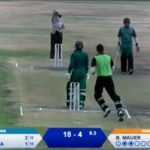 Knights Academy strolled to a six-wicket victory over Cobras Academy thanks to captain Marno van Greuning’s stunning 4-24 in the first innings, and a classy 93 not out from Siphamandla Mavanda. 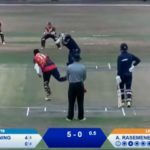 Lions Academy bowled out Warriors Academy for 169 to clinch a 35-run win, thanks to sensational bowling spells from Andrew Rasemene (3-18) and Thamsanqa Rapelego (3-28) at Bridgton Sports Ground. 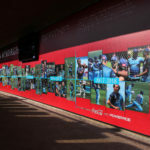 The Alwyn Myburgh Gallery was opened on Tuesday at SuperSport Park (home of the Titans) during the second ODI between South Africa and Sri Lanka.